Home » Now that’s Entertainment! 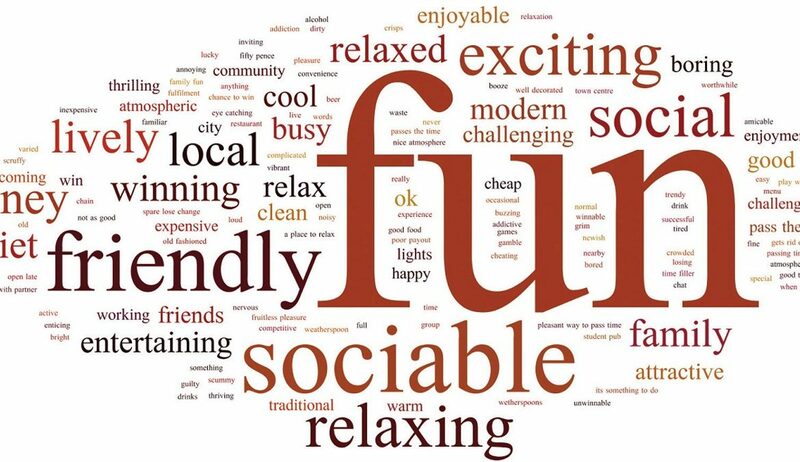 PwC research shows the central importance of ‘fun’ in the amusements proposition and why a progressive triennial is essential to the life blood of an industry battling to retain its player base across all sectors. The pursuit of a fun experience and the chance to win money, have been identified as the two most important motivations for amusement machine players, in a large scale consumer survey conducted by PricewaterhouseCoopers LLP (PwC) on behalf of bacta. 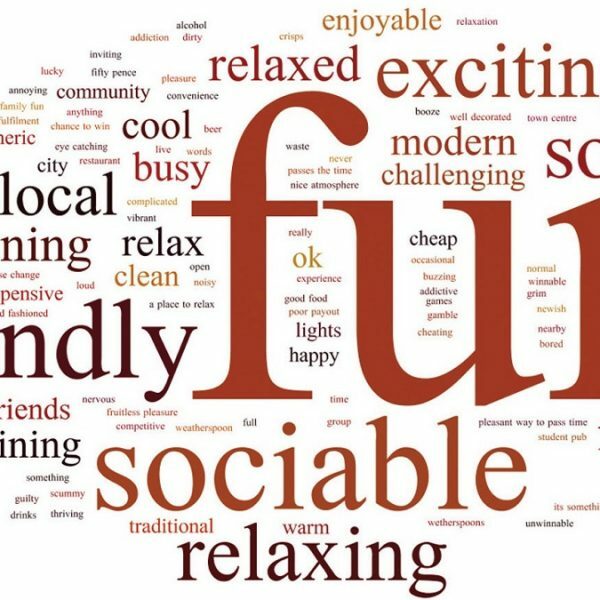 The PwC Consumer & Industry Insights is the largest body of research conducted on attitudes towards amusements machines and involved online surveys and face to face interviews with a sample of 2,297 current/lapsed players and 2,500 non-users of amusements machines. The body of research also included site visits, a programme of in-venue player observation as well as qualitative interviews with industry experts. Asked to identify which two options from a list of 14 best described their reasons for playing amusements machines, the sample of current players selected ‘the chance to win money’ and ‘just as a bit of fun’ as the top two across all six vertical markets covered by the research. Amongst the sample of current FEC players the responses were 17% (‘the chance to win money’) and 67% (‘just as a bit of fun’); the figures for AGC players were 51% and 46% respectively, MSAs (35% and 49%), Bingo (55% and 45%), Pubs (42% and 58%) and Clubs (49% and 51%). Throughout the research findings, the provision of bigger and better prizes is consistently identified as a motivating factor to encourage play, as is having a greater range of games, including the further introduction of digital machines. For the segment of lapsed players researched by PwC, particularly those in pubs and FECs, the less appealing nature of the machine playing experience is highlighted as a reason for no longer playing. Many industry observers believe there is a direct relationship between prize levels and the perceived attractiveness and desirability of the machine playing experience. Higher stake and prize levels free-up games designers to add layers to a game, enhance features and generally make the product more inviting. Currently the industry’s games creators are working with the hand brake on. For as long as the same restrictions don’t apply to every gaming operator on the high street, the low stake sector will undoubtedly continue to suffer from unfair competition and a consequent migration of players. 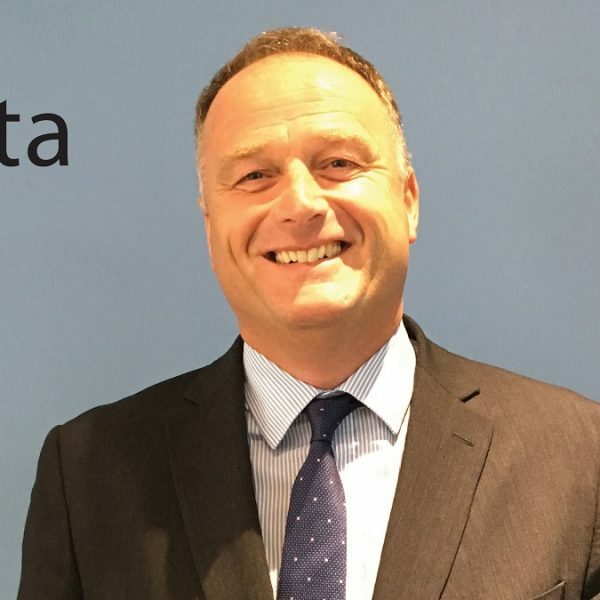 In line with other modern retailers on the high street, there are a lot of initiatives that the industry has been and continues to apply to the business, but, according to White, the foundations of any commercial organisation is the ability to remain competitive in their core offering. 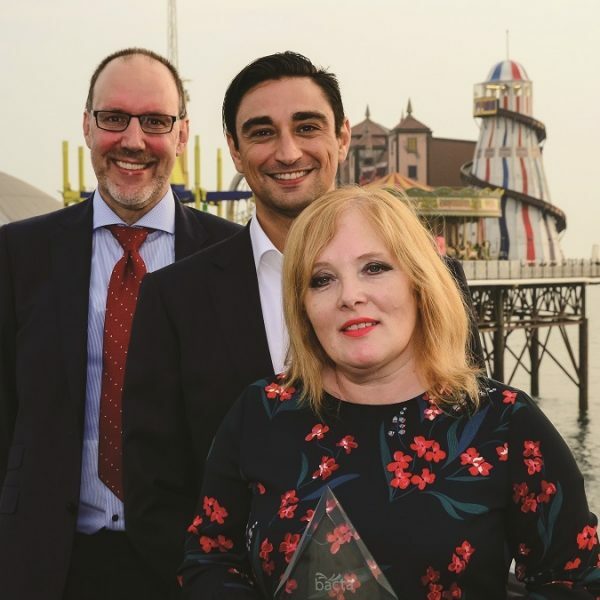 Playing on amusement machines is a popular leisure activity in the UK with 72% of adult consumers having played at some point in their life and 36% having played in the last 12 months. Incidence of play is highest in FECs, with 29% of consumers having played in the last 12 months. 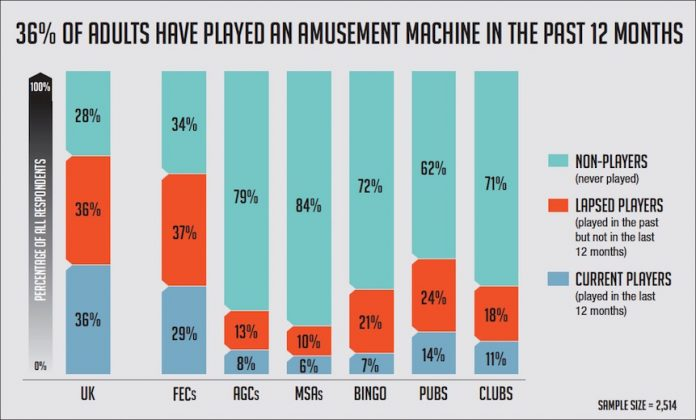 The FEC sector has 14 million current players (where play is measured by at least one visit in the previous 12 months when an amusement machine was played). This is followed by Pubs, where 7 million have played a machine at least once in the past 12 months, Clubs (5 million), AGCs (4 million), Bingo and MSAs (3 million each). Players who have played in the last 12 months play across an average of 2.64 verticals. On average, consumers play a few times a year. A typical length of visit is 30 minutes to 1 hour, although there are differences by vertical. The PwC research calculates that in the last 12 months, the amusements and low stake gaming industry has lost 1 million players to online and 1.5 million to LBOs. The research identifies online converts as those that have not played in any machine vertical in the past 12 months but have played online. The segment described as ‘Bookie Converts’ (categorised as someone who has not played in any machine vertical in the past 12 months, but have played in bookies) are older, likely to be male and generally less affluent. The AGC appeals to males of all ages. Levels of play would increase if there were bigger prizes, lower stakes and the ability to ply for free. More likely to be younger males with children. Bigger prizes would increase their play. Players are typically older females with grown-up children who are not living at home. Players visit once a week but would visit more if there was a greater choice of machines and bigger prizes. The pub machine player is male and younger. He is less likely to have children compared to the average of all other current players. Bigger prizes and a greater range of games/machines would increase play. Younger adult males who play predominantly for fun, closely followed by the chance to win money. Bigger prizes as well as better drink and food options would increase play. Appeal to families and younger consumers who play ‘just as a bit of fun’. Players typically only visit a couple of times a year, but would play more if there were better prizes.